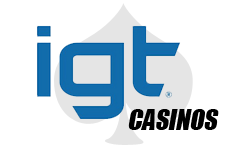 International Game Technology, IGT for short, is a worldwide software provider of games and lotteries including the design and development of games such as slots and video poker. Being one of the longest established gaming providers, IGT specialises in both offline and online gambling as well as mobile technologies. Through the years IGT has grown considerably and acquired other companies in the industry including Anchor Gaming and Silicon Gaming. In 2005, IGT bought rival software provider Wagerworks for around £60m and supplies online big-guns Paddy Power, Gala and Coral. Popular IGT slots include; Star Wars, Elvis, Top Dollar, Double Diamond, Red, White & Blue, Super Times Pay, Wolf Run, Cleopatra, Cats, Kitty Glitter, White Orchid, Siberian Storm, Golden Goddess, Black Widow and Pharaohs Fortune. Other top gaming titles include Cluedo Who Won It, Monopoly Pass Go, Dungeons and Dragons Crystal Cavern, Star Trek Against All Odds, and popular table games such as Power Blackjack, Hot Streak Roulette, Texas Hold ‘Em Shootout and Pinball Roulette. Players love IGT casinos because the software enables them to enjoy themed games that they recognise. Not only this, IGT is known for providing solid, stable and all-round sound games that offer regulated and fair gaming. Over the years IGT has changed and expanded somewhat dramatically, however they have kept their reputation intact of being one of the UK’s leading slots providers in both local (offline) casinos as well as online and mobile. The organisation itself is known as one of the biggest in the gambling world – enhancing gameplay and enjoyability of real money games. What’s more is each game provided by IGT, be it slots, video poker or table games can be enjoyed instantly via your browser, without the need for additional software installations. Since IGT acquired WagerWorks their coverage spans far and wide to gamblers in all corners of the world. Having used clever investment to move forward, they have been able to grow their user base of flash based development. Most games provided by IGT and WagerWorks operate on this basis, where the user is not required to install software on their PC, as long as they are running Flash, which is built in to most modern web browsers as plugin. The joy of this is that players don’t miss out on the maximum potential of gaming experience just because they won’t install software. And with hundreds of games available under IGT’s list of companies providing some of the highest payouts across the board, it’s easy to see why they are so loved. The graphics on IGT games have evolved over the years and where they are at now is some of the best in the industry. With a huge experienced team behind closed doors, IGT offers gambling enthusiasts highly advanced graphical interfaces with video intros and 3D animations.